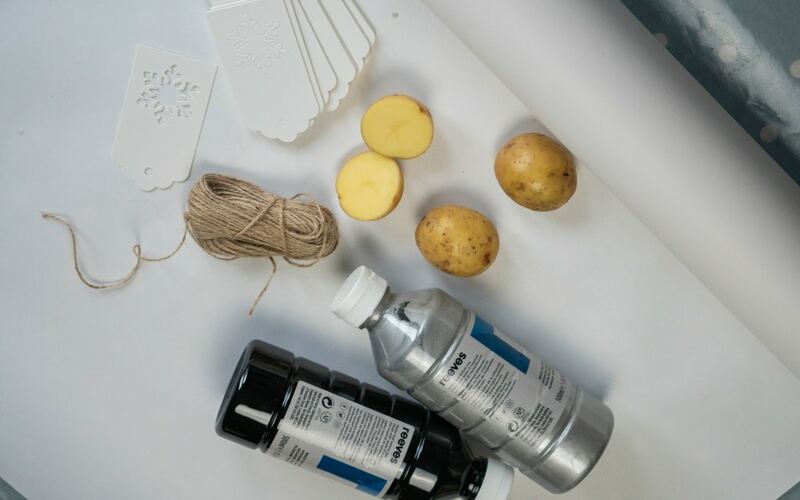 How long ago was it when you did some potato printing? I remember doing it as a child but I don’t think I’ve ever done it with the children before. 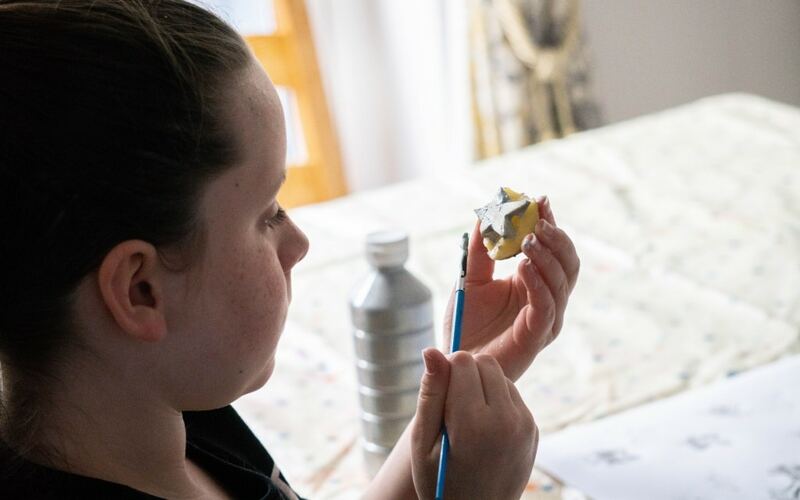 It’s such a simple craft and it involved paint which ticks my girl’s boxes! 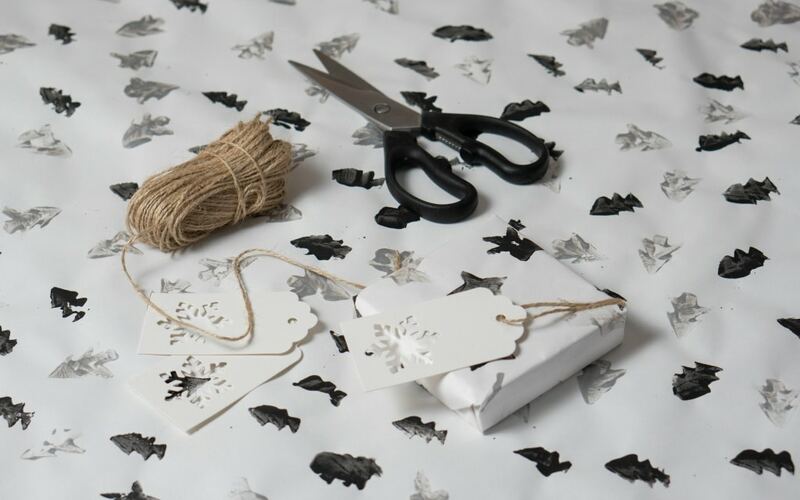 Potato printing wrapping paper is a great idea at this time of the year, creating some brilliant personalised Christmas wrapping paper. However, it could be adapted for any time during the year and birthday presents. We purchased some good quality paper that would be strong enough to be folded around the presents and not rip easily. 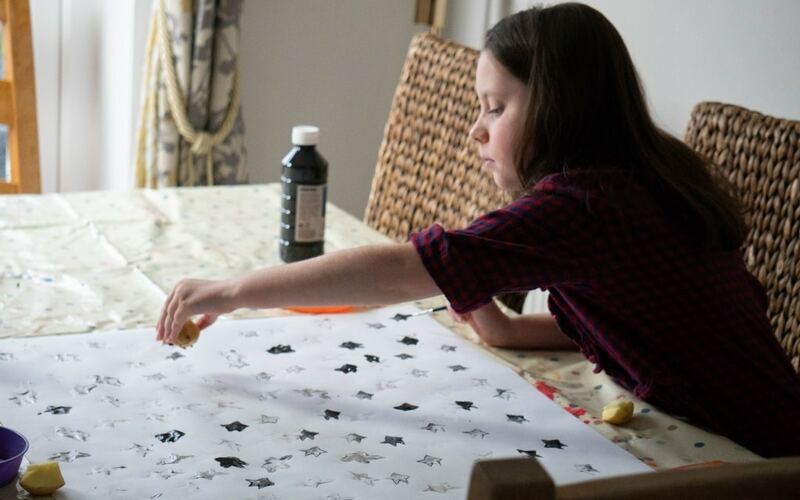 The white paper came in a large roll of it, but this will come in handy for lots of craft projects for the girls in the future. Pick your chosen potatoes, try to get some big ones that can have their shape cut into easily. We only had small ones and it was a bit fiddly to get the shapes! I picked black and silver paint, the silver paint wasn’t as good as it was more watery and didn’t make such a strong print. The paint I used comes in so many colours. 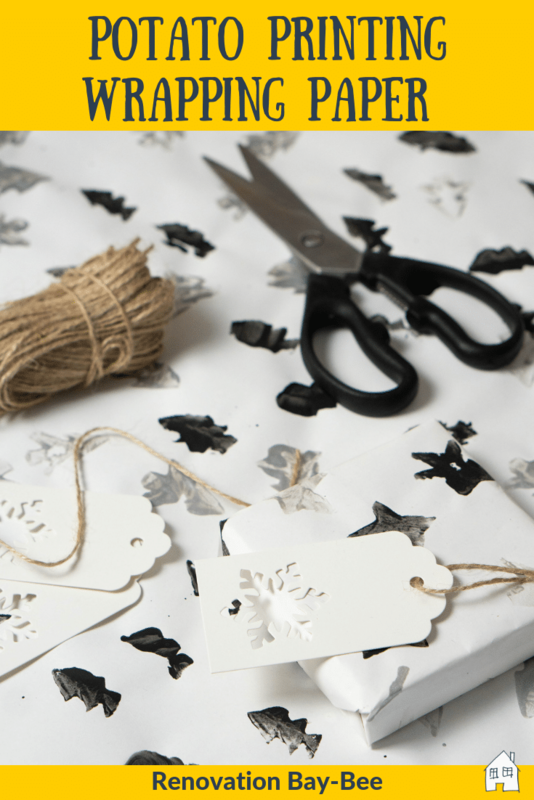 Tags for labelling your presents. These white tags came with a snowflake cut out, which had to be pushed out, but I have a plan for those now too! They also came with the twine to attach the tags. 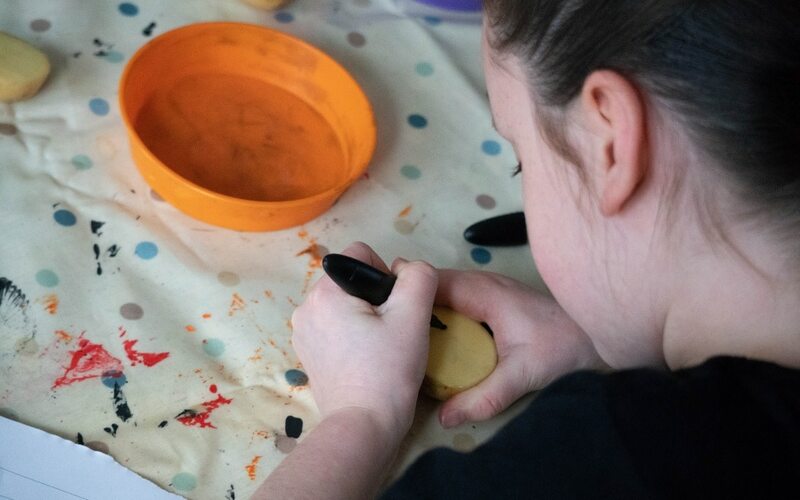 We got the girls to draw their chosen shapes onto the potato so they could cut around them, you can then cut away the edges from the shape to make a raised shape. We kept the paper on the roll and spread it out over the length of the table. The could then print either side and I just moved it along to leave it to dry. We found painting the paint onto the potato easier with a paint brush to control how much paint went on than placing the potato into the paint. I let them go mad with their printing! 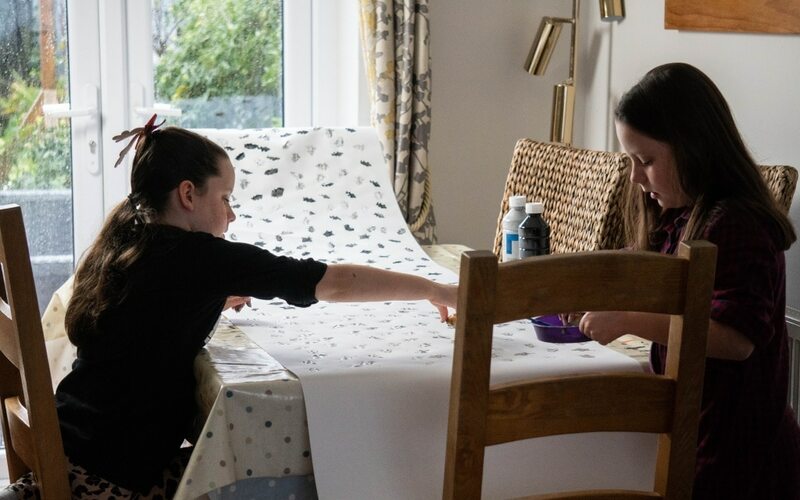 They were quite proud of their potato printing wrapping paper once they saw how much they had done, and even more so when they saw them all wrapped up! 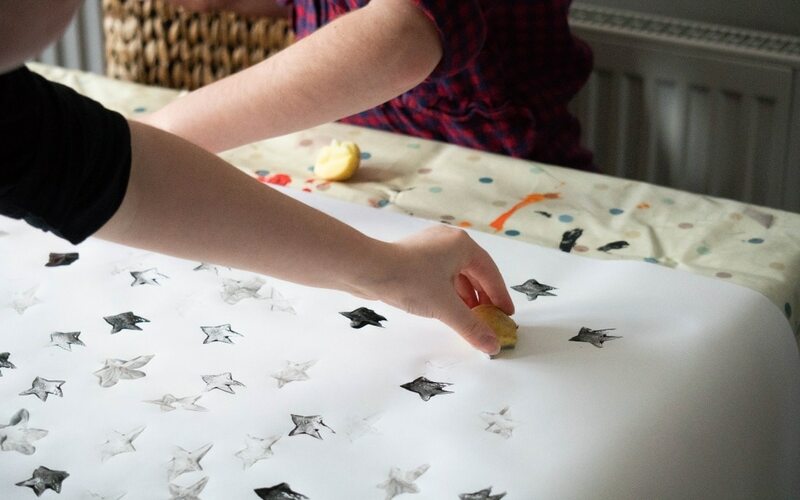 They’re not perfect in shape and printing, but I think it’s lovely to have a handmade wrapping paper present! I’m sure they will love it too! I am sure the Grandparents will love it too! That’s such a lovely idea. I’d have given that a go if I didn’t have Christmas wrapping paper to use up already. Oh perfect, I hope she enjoys it! I love it! It looks so cute and effective and yet simple and fun to do too. This is such a great idea and looks really therapeutic too! I have some brown paper at home I may have a stab at doing something like this this weekend! Oh yes they would look great on brown paper too!